Tesco started it in South Korea in 2010; Delhaize is doing it now in Brussels. 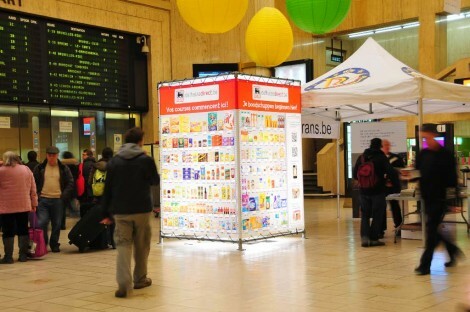 Four boards depicting 300 products were set up last week in Brussels Central Station, allowing travelers to order products with their smartphone. 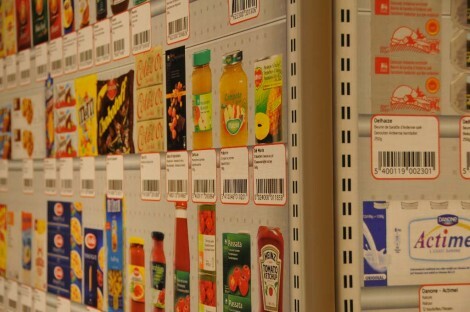 Each product picture is accompanied with a barcode and Delhaize mobile app allows the shopper to scan and get the products prepared for delivery at his/her favorite Delhaize supermarket. Home Plus (Tesco) was the first to test this new concept in the Seoul metro. 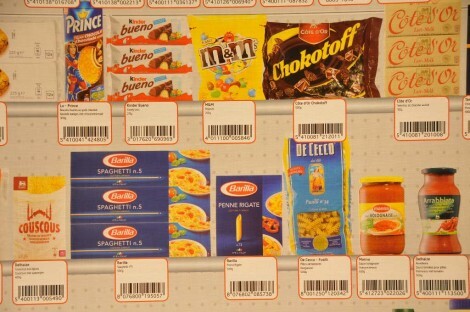 It had 410 products depicted which were accompanied with a QR code (it’s a normal barcode for Delhaize). This concept was based on th so-called “Wait marketing” which aims at allowing commuters to use the time lost between two connections, and therefore to be more efficient. Today’s consumers express often the lack of time as one of their biggest problems in life. For the consumer the advantages revolve around the efficiency in terms of time. Once again Belgium is ahead of its time with this innovation. Yet, this concept poses a few questions. Is it a threat for employment in stores? It’s seems it won’t be one because orders will still have to be prepared by an employee, so Roel Dekelver of Delhaize. Is it a profitable revenue stream for Delhaize ? Damn yes ! No shelves, no employee, no perishable products anymore, maximum space utilization. Products purchased through this wall will be the more profitable of the group, you can believe me. Will it enhance cross selling ? Hum … that’s a tricky one. My guess is that it will not. You purchase a lot of unwanted items in the store because you physically see them which triggers the desire to purchase them. Can a picture lead to the same effect ? Will it be a success ? It’s already a success since it makes the buzz but I’m not sure it will be used by many. If one follows the Roger’s adoption curve, I bet only a tiny part of commuters will use the wall. The eventual success is linked to the adoption of m-shopping and my take is that there’s still a long way to go. We may well be ahead in terms of innovations, but we are behind other countries in terms of using our smartphone. The innovation was indeed a huge success in Korea (see figures above) but this country is very different in terms of consumer behaviour. The penetration rate of smartphone is higher and the relationship of the consumer to his/her mobile device is completely different. Consumers in Korea are much more experienced and change more often of device (up to 3 times a year) than in Europe. In short the consumer’s literacy is way higher in Korea than it is in Europe and this may well be an important impediment for the success of the Delhaize innovation.